I am a teacher, wife, daughter, sister, proud aunt, and a fur baby mama. I have been teaching in elementary school for 15 years primarily in grades 4-6. I really love teaching and being around children for the majority of my day. I know that this profession will be my only until one day I retire with a home near the ocean on some Grecian island. Then I can rest my mind from multitasking, and my only concern will be enjoying the view and maybe a glass of wine. As a young girl, I used to play "school" and I always wanted to be the teacher. But thinking back, I never thought I would actually become a teacher. I come from a Greek family, and I'm the first born in America. Being the first one here, I was, and still am, the daughter that translates and communicates for my parents. College was known as a luxury, maybe not seen as necessity growing up. As long as I had a good job, and became a good person, I would have everything I need. That was the thinking of my family because that is what they had growing up in another country. Now that I am a teacher, I see myself in many of my students. Our primary languages and culture might differ, but we have many similarities in being the "firstborn" American citizens. I've sat down in many conferences where the students try to communicate to their parents many things about school. I've had conversations with students about making future plans to go to college. Many students don't realize that they can go to college, that they can be what they want to be, they can be many things in this country. There are many alternatives to pay for college. Many of us didn't have the luxury to have a college fund ready for us when we graduate. Ultimately, teaching for me is more than the daily subjects. Teaching is about guiding kids to be passionate about something, and to know that there are no limits regardless of their background or current situation. Embracing our backgrounds and current home is important, it's a gift. Reflecting on my journey through the Innovative Learning program, I have now become more cognizant of how to incorporate technology in my classroom by enhancing learning and engagement through the use of 21st century skills and the TPACK model. Prior to entering this program, I viewed technology to be a bit overwhelming and a daunting task. I saw tech tools as another thing that I had to learn and incorporate into my classroom. Reality is that technology helps streamline education, it helps draw interest from students, and it offers a perspective of information that traditional education can not give anymore. Through the TPACK and SAMR model, my goal is to continue to use 21st century skills and technology to move from the enhancement stage of education, to the transformation stage. Eventually technology can be used to modify a task in a significant way, or redefine a task into new inconceivable ways through the creativity and critical thinking if the students. After teaching in elementary school for 15 years, I have learned that education is ever-changing. 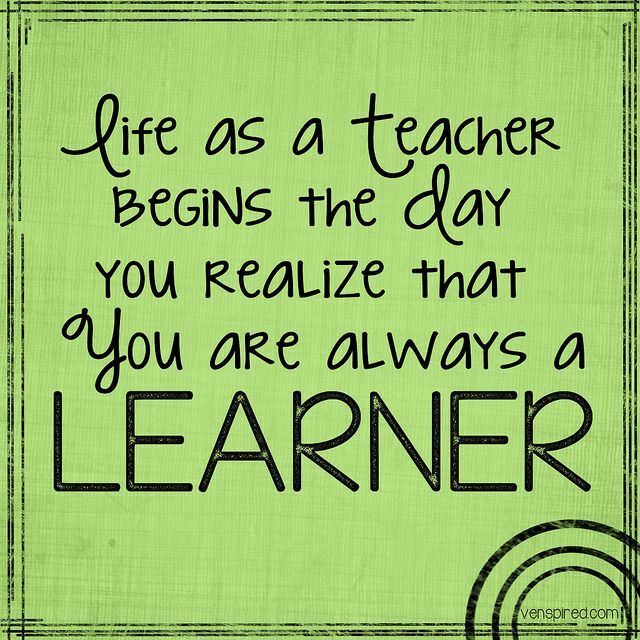 Once I think I have mastered a certain skill or curriculum, there are modified standards, curriculum, or assessments that need to be incorporated resulting in a learning curve not only for the students, but for me as a teacher as well. I have learned that I will always be a student myself, and the goal of a teacher is to best deliver information to students in a way that will intrigue and motivate students to learn more. The Innovative Learning program really brought me back to what's it's like to be a student. I struggled, questioned, wondered, and searched for answers. I am glad that I was a part of this program, I collaborated with wonderful group of teachers. I was able to use my critical thinking and creativity to present my findings to my peers. The program transformed my teaching practices that will overall help my students become life-log learners as well. Questions or comments? Please fill out below.